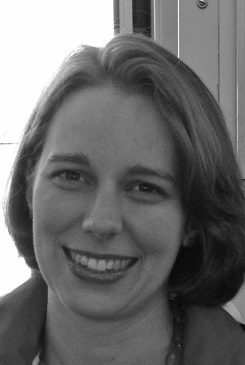 Julie Bannerman is a Visiting Assistant Professor of Music Education at the University of Alabama. She teaches classes in music education, coordinates the PreK Music Initiative, and supervises clinical music teaching experiences. Her appointment began in 2016. Prior to Alabama, Bannerman served for three years on the Music Education Faculty at the Crane School of Music at SUNY Potsdam in Potsdam, New York. Her career in school music teaching includes over five years of general and choral music teaching in diverse early childhood, elementary, and middle school settings in Seattle, Washington and California’s Bay Area. In addition to teaching in the US, she served for two years in the United States Peace Corps as an education volunteer in Nicaragua, Central America (03′-05′). Bannerman received her Doctor of Philosophy in Music Education from Northwestern University in Evanston, Illinois. She received her Master of Arts in Music Education from the University of Washington in Seattle, Washington. She holds a Bachelor of Music in General/Choral Music Education and a Bachelor of Arts in Gender Studies from Lawrence University in Appleton, Wisconsin. Bannerman has studied varied approaches to general music education including Kodály, Orff, Dalcroze, and World Music Pedagogy. Her research and clinical interests include sociocultural issues in music education, policy issues in music education, and music teacher education. Bannerman has presented research and clinical sessions at regional, national, and international venues including the National Association for Music Education, the Symposium on Music Teacher Education, New Directions in Music Education Conference, the International Society for Music Education, and the Mountain Lake Colloquium for Teachers of General Music. She has published in venues including the Journal of Research in Music Education, Triad, and Diskussion Musikpädagogik. Bannerman is a member of the College Music Society, the International Society for Music Education, and the National Association for Music Education.